Best Mexican Food in Oceanside, CA! 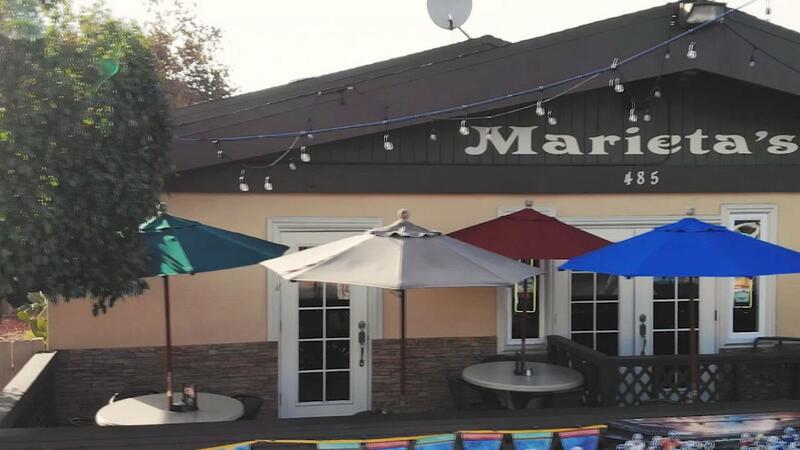 If you&apos;re wondering where to go for your next Mexican food outing with your family and friends, Marieta&apos;s Restaurant is a fabulous choice! While dining at Marieta&apos;s, located in the beautiful city of Oceanside, California, you can&apos;t help but enjoy our delicious authentic Mexican cuisine, as we are the home of fine Mexican food! Here at Marietas, we pride ourselves in satisfying your taste buds while providing you with a comfortable fine dining experience! We have many Mexican food dishes to choose from, all homemade from scratch, that will suit anyone&apos;s preferences! Great restaurant, and local to where we live. Superb food, excellent service and consistently good. Try it, you won&apos;t regret it. Stopped in for lunch and was not disappointed. Their tacos are amazing! And the modelo is cold. Amazing food! Best Mexican restaurant in Oceanside that I&apos;ve went to! Love it! Amazing service as well. This is one of our favorite "go to" restaurants. The chili verde is my favorite! Chips and salsa are fantastic and the large mango margarita is yummy too! Definitely has a cool Mexican vibe and decor. Everything was delicious! The waiter was very friendly and had several suggestions. The portions were good for the price we paid. Liked that they have an outside seating area.